Moving to another country is always a big decision but moving to a predominantly English speaking Mediterranean country such as Malta, is much easier than you think. 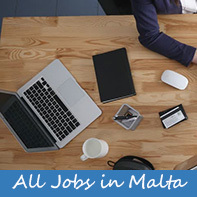 It is an EU country so as long as you have an EU Passport then having the ability to work in Malta is no problem and there are plenty of different industries to choose from. Why would you not want to move to Malta when it is full of natural beauty, architectural splendor and the Mediterranean lifestyle that permeates the island? 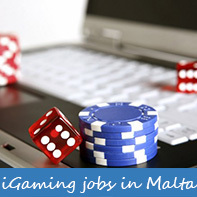 Many people are attracted by the varying different successful commercial industries that are flourishing in Malta such as the igaming industry and the financial services industry. Within this living and working in Malta section you can find out all you need to know about moving to this island that is so steeped in history, surrounded by the deep, blue Mediterranean Sea and where the sun shines for approx 300+ of days throughout the year. Malta has a pretty laid back lifestyle, proximity to the sea and 300 days of sunshine certainly allows for a reduced stress, compared to most other places in Europe. Life in Malta is mostly very slow-paced and relaxed, suiting well to those having trouble escaping from the daily rat race. Lets be honest and know that the main reason many people go to this Mediterranean island is because with 300+ days of sunshine in a year, that is hard to beat. So Jan – March you expect scattered showers but temperatures to remain above 12 degrees, then a short spring from April – June where temperatures will start to rise to an average of 28 degrees. July and August can deliver a kick if you are not ready for the 30 – 35 degrees heat so be ready with the sunscreen and the air con. This is also the time for the tourists to descend on the island and clog up the roads and beaches so watch yourself if you are driving in these months! September and October are the best times as the tourists go home and the temperatures return to the mid 20s and evenings retain that balmy warmth that means you can sit outside until late in just a tshirt and shorts. Nov and December tend to see occasional rain but still expect temperatures in the low 20s with some beautiful clear and sunny days with cloudless, deep blue skies. Most people find that everyday life is relatively affordable, compared to most Western countries but clearly that depends on the type of life that you lead. Lets guide ourselves by general essentials so a pint of beer at a local pub can go for as little as €1.50, eating out or buying supermarket food is generally very affordable. Public transportation is relatively inexpensive as well with an average of 75 cents per journey, capped at €26 per month if you have the Tallinja card. Rental apartments are plentiful and certainly fairly easy to find with adverts in the local newspapers and a mass of estate agents. There’s been a lot of property development over the last decade, which has resulted in a huge variety of rental properties on the market. The success of the iGaming industry has helped to push rental prices up but by comparison to other countries in Europe then the cost of rental accommodation is quite cheap. 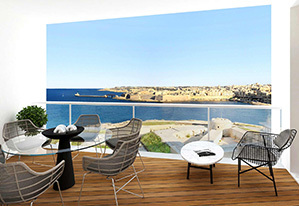 Moving to Malta, as a rough guide, you can easily find a newly furnished 2-bedroom flat for as little as €500 per month, in the cheaper areas. The cost of utilities still remain pretty cheap where you can expect your monthly water and electricity bill to not exceed €50 per person, even if you run air conditioning in the summer – which you invariably will! 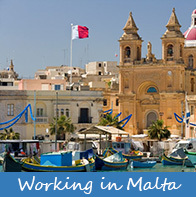 Working in Malta and finding work in Malta will depend on what type of work you are looking for but there is always a good variety of different types of roles. Fairly obviously the entry level jobs are always easy to find in late spring and early summer, because this is when many tourist hotel and shops expand their number of staff to deal with the increased numbers. A short walk around in the Sliema / St. Julian’s area and you’ll notice “Staff Wanted” signs on almost every other door of restaurants and pubs so just drop in with your CV and a smile. A local mobile phone number will make the chances of you contacted, much higher and show a dedication to staying in the area. 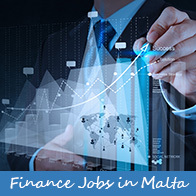 There are a good number of international companies in Malta, focussed mainly in the finance and iGaming fields, that create a fair number of specialist jobs that usually pay much better than most local companies. These firms are also often on the lookout for speakers of foreign languages, especially Scandinavian languages. 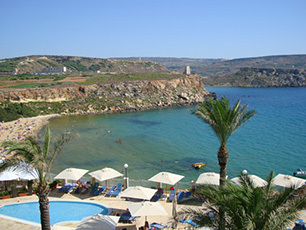 There are 2 different types of Residency in Malta so depending on where you are emigrating from you can apply for one of two types of residency: the Ordinary Residence or the Permanent Residence. The difference between the two ultimately determines how much you get taxed so best that you are aware. Ordinary Residence applies to people coming to Malta from the EU and the tax you pay is worked out by taking from 0 to 35 per cent of your income, minus a tax-credit, depending on how much you earn and marital status. Permanent Residence is open to everyone, no matter what your country of origin is so if you’re not from the EU, then this is what you need to apply for. If you become a permanent resident in Malta you will need to pay 15 per cent tax on the income you bring into the country. Thanks to double tax treaties with various countries, you will probably not need to pay any tax to your country of origin. Once you’ve become a permanent resident, of course you don’t need to necessarily live on the island all the time and can come and go as you wish. Do be aware that you are not becoming a Maltese citizen by becoming a resident and will not be able to vote. The official language of Malta is English, with Maltese widely spoken, but you can expect to find all government forms and documents in English, as well as all road signs, restaurant menus, and other crucial bits of information. Many of the igaming companies have roots in the Scandinavian countries with Swedish being a particularly in demand language so if you are Swedish then you are on to a winner. The island is only 316 km² so most areas in Malta are connected by public transportation one way or another, unless you want to travel to a secluded town with 20 inhabitants, there will be a bus route available for you – even if it only runs 4 times a day. The attitude to the timetable of buses in Malta is decidedly Mediterranean, meaning that they rarely run on schedule but the main commercial areas are well supplied. Thankfully all healthcare in Malta is free so as long as you’re employed, you can head to the Mater Day Hospital (or the Gozo General Hospital if you’re in Gozo) and get any necessary treatments free of charge. The quality of healthcare is amongst the best on Europe, according to a 2012 report by PWC where they had Malta ranking amongst the top 6 in the EU for the overall quality of healthcare. Private health insurance in Malta is extremely inexpensive, whereby simple in-patient plans go for as low as €90 a year, a payment of around €350 a year will get you full cover, allowing you to see doctors at one of the many private clinics and hospitals and avoid the queues of the public clinics. The quality of education in Malta is generally decent, with state schools that are free of charge and for higher education, the University of Malta offers a number of majors and the tuition is generally affordable. Private schools are also plentiful, and rather inexpensive compared to many other European countries but you can expect to fork out an average of €3,500 per annum in tuition fees.